Big junk needs an even bigger dumpster. A serious dumpster for serious projects. The 22-yard dumpster is our biggest size meant for the biggest projects! This dumpster can handle projects of any size. If you need to chuck it, it can haul it. This 22-yard container can hold up to 11 truck beds of junk or debris! For this dumpster, the bigger the project the better. Whether you’re completely remodeling a house or building a whole new one this dumpster will serve you well. It can also easily accommodate large debris, like tree limbs, so you don’t have to waste time breaking the junk or debris down. 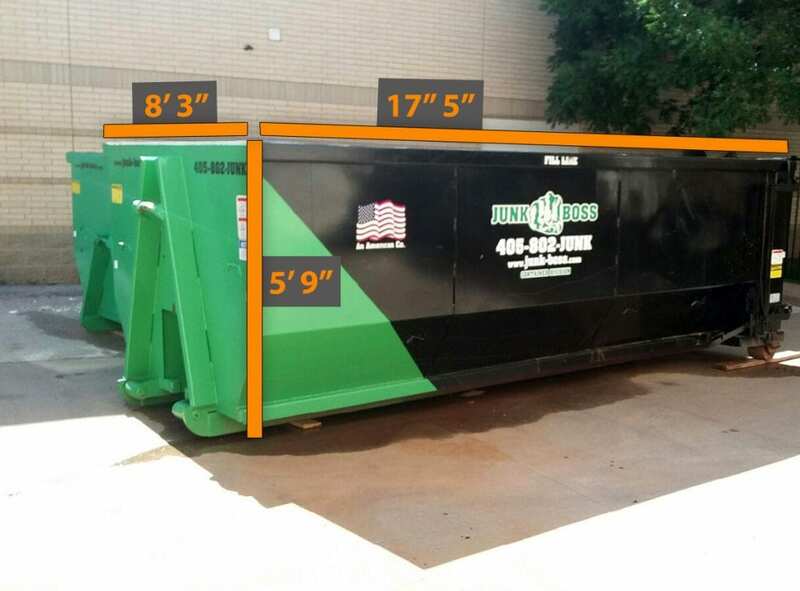 This 22-yard dumpster was specifically designed to meet the needs of contractors. It’s 1 foot shorter than a 30-yard container so you can still easily throw junk over the top of the bin. Like our 10 and 15-yard containers, it features a gate you can open. This allows you to walk your junk into the container or use a wheelbarrow more effectively. 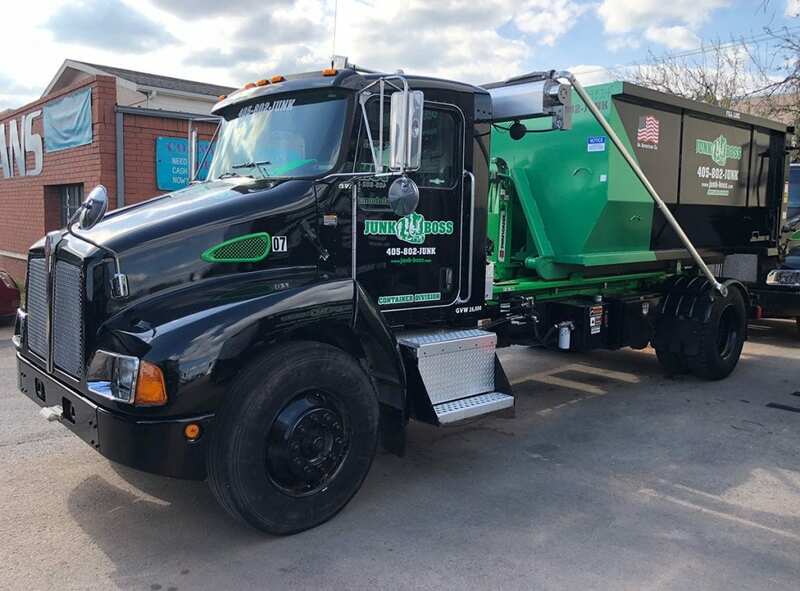 Junk Boss is locally owned and operated in Edmond, OK. We offer unmatched customer service for dumpster rentals in Oklahoma City. We offer same-day or next-day delivery. You can simply text us to drop-off or pick-up your dumpster and we’re always prompt! We will even send you pictures of where we dropped the container to make sure it’s in the right location. You’ll never receive a dirty Junk Boss container. We keep them sparkling clean for a professional-looking job site. Call Junk Boss today and see the difference in service!